Listening is one of the most important skills we have. Webster’s dictionary defines listening as ‘paying attention to sound; to hear something with thoughtful attention; to be alert to catch an expected sound’. So based on this definition, we know that listening requires conscious attention to speech and sounds. Whether it’s face-to-face in quiet, seated in a noisy restaurant or holding a telephone to the ear, being able to listen requires that we accurately receive and interpret spoken messages. It is not surprising then that great listening skills depend on being able to hear and differentiate sounds in speech and in our environment. Our ears detect sound and alert us to things and people. Hearing is one of the five senses, the one that gives us the ability to perceive sound waves, some barely audible, others so loud they cause discomfort. But listening is so much more. Listening is how the brain analyzes and interprets the sounds and speech in our environment. Because hearing and listening are so complex, we must rely on verbal (speech and tone of voice) and non-verbal (gestures and facial expressions) information in order to interpret messages in more challenging listening environments. How well we listen has a major impact on the quality of our personal and professional relationships with others. We listen to obtain information, to understand directions, for enjoyment of music, to learn new skills. So, imagine the negative effects of hearing loss on our ability to listen. When hearing diminishes, whether suddenly or gradually, listening becomes more challenging. It is a struggle to understand conversation with family, friends and colleagues. We frequently ask people to repeat themselves and background noise makes speech very difficult to hear. As hearing loss progresses, many report that people seem to mumble, and speech is unclear; background noise is especially annoying; TV volume is turned up too loud; high-pitched sounds, such as birds chirping, bells and whistles are no longer audible. 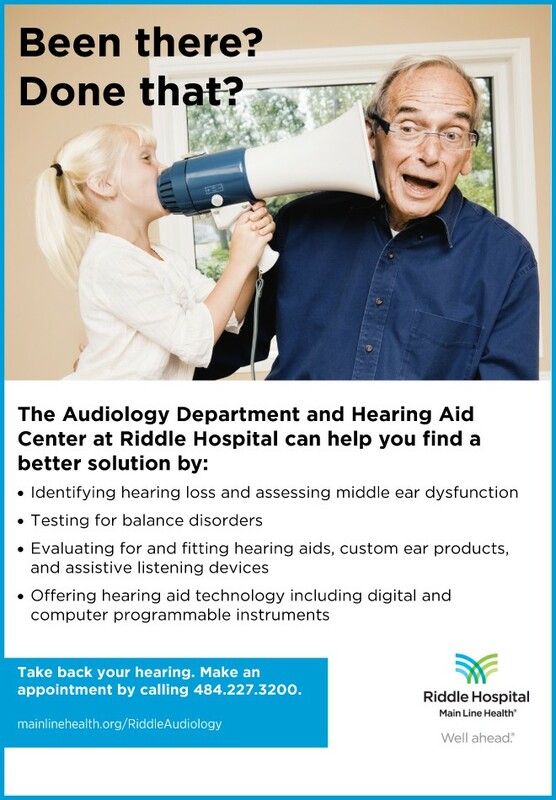 Many facets of everyday life become increasingly more difficult when hearing loss occurs and no treatment is sought. People withdraw and become socially isolated. Quality of life diminishes noticeably, and there are physical issues such as tiredness or fatigue, headaches, vertigo and stress. There is now a scientific link between untreated hearing loss and dementia. Better hearing leads to easier speech understanding, more comfort in background noise and in the end, great listening. Imagine reconnecting with family and friends, gaining a sense of control in noisy social situations, participating in family and group settings, having a more positive attitude and realizing an overall better physical health. Clearly, listening is a skill that we can all benefit from improving.